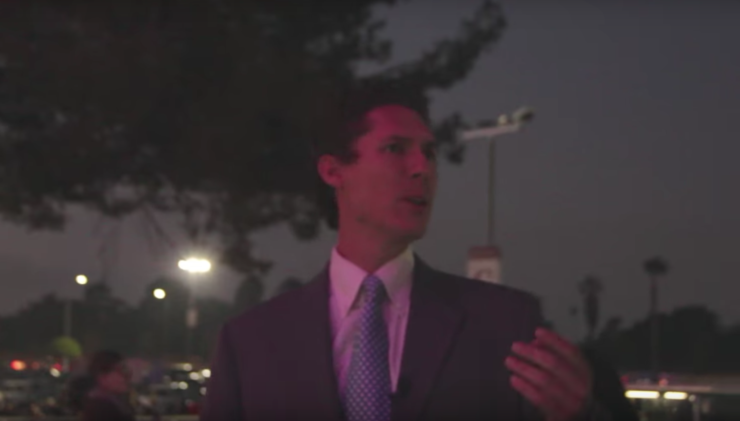 Joel Osteen Impersonator Crashes Event Causing Subtle Havoc | OhGizmo! We’ve all seen videos of celebrity impersonators going around city streets and causing a bit of chaos as fans crowd around trying to get their autograph/picture, but this one’s a little different. When Comedian Michael Klimkowski, who looks quite a bit like mega church pastor Joel Osteen, deciding to impersonate the celebrity, he did so at one of Osteen’s massive events and managed to trick staff into letting roam around freely. He tricks everyone from fans, to staff and even the event’s security, and he manages to get to the actual stage of the massive arena. He ends up being caught, but technically he didn’t commit any crimes. Later, even the real police thought the whole thing was funny.